A bonsai tree adds character, texture and interest to your home landscape but this miniature tree does require a bit of specialized care. 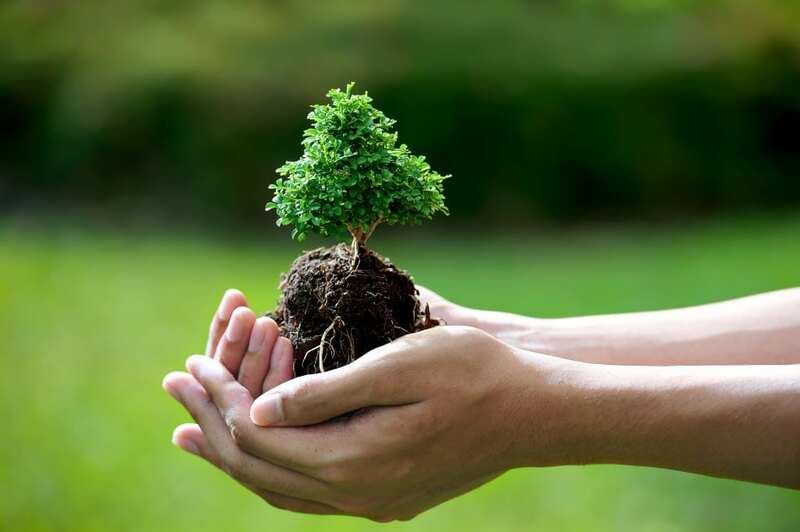 Caring for your outdoor bonsai tree is not difficult but it is necessary to keep your tree healthy and happy for years to come. Your bonsai has a dormant season during the winter months and needs cold or cool temperatures during dormancy. This means you can’t take your bonsai inside your home when the weather cools off as it needs the dormant period for proper growth. During the warm months of the year (spring, summer, fall) keep your bonsai outside in a location where it can receive morning sun and afternoon shade. You might need to move your bonsai around during the day to achieve the proper balance of sun and shade. A porch, patio or balcony are good locations during the day but for the best display, place your tree on a bench or a table at eye level to give you the best view of its beauty. Bring your bonsai inside occasionally to display during special occasions and you use this living art as decoration in your home but don’t leave the tree inside for long periods as the conditions will not be favorable for proper growth and health for your tree. Two easy methods for overwintering (link to overwintering page) your bonsai tree include placing the tree in its pot in an unheated shed or garage or burying the tree in the ground (with or without the pot) up to the location of the pot rim then mulching up to the bottom branches. If you choose to place your bonsai into an unheated garage for the winter, it won’t require light but will require watering every two weeks. If you bury the tree in your yard, choose a location that will provide shelter from the sun and from winds. The bonsai does not need to be protected from rain and snow, though. Do not forget to water your bonsai tree regularly (link to watering page). Your tree may need watering daily if it is getting plenty of sunshine. Do not let the soil in the pot dry out and when you water the tree, continue watering until the water runs out of the holes in the pot. Water very gently using a watering can or an attachment for your hose that allows for gentle watering. Should I Repot My Bonsai? 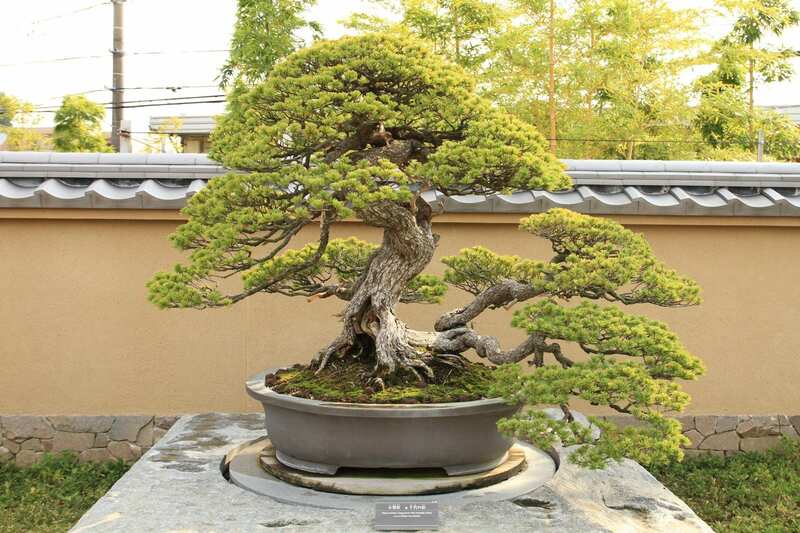 Every two to three years your bonsai will probably need repotting (link to repotting page). The best way to determine if it is time for repotting is to examine the roots of the tree closely. When the roots become too compacted they will need to be trimmed back and placed in fresh soil. Repotting the bonsai should be done in mid-summer and in order to do this job properly, remove the tree and all soil from the pot. Remove soil from the roots then you will need to prune about one-fourth of the roots from the bottom and sides of the root ball. Prepare the pot by placing a screen over the bottom of the pot’s drainage holes. Cover the screen in the bottom of the pot with a layer of pea gravel to allow for the best drainage. Cover the layer of gravel with a layer of fresh soil but not enough to fill to the top of the pot. This layer should be thick enough to position the tree at the same level it was previously in the pot. Place the tree on the soil in the pot then back fill with more fresh soil. Work this soil around the root ball within the pot to eliminate air pockets in the soil and around the roots. After repotting, water your bonsai thoroughly. Place moss or another type of ground cover over the top layer of soil to help prevent erosion. Keep your bonsai trimmed regularly to keep it small. Pinch back or trim off some new growth but not all. Leaving some new growth will help keep your tree healthy. You can treat your bonsai with regular pest or disease treatments (link to pests and disease page) that are safe for trees. Check with local nurseries (link to local nurseries page) or garden centers (link to garden centers page) for the best recommendations for products. Fertilizing your bonsai will promote best health for your tree. Do not fertilize during the winter dormant period but during the regular growing season you can apply a general purpose fertilizer (link to fertilizer page) found at any local nurseries or garden centers. Follow instructions but some recommendations hold that amounts should be cut in half for a bonsai tree.